Facial Plastic Surgery Institute Jordan Rihani, M.D. fpsi-logo Facial Plastic Surgery Institute Jordan Rihani, M.D. Easy way to get rid of neck fat? You may be asking is this too good to be true? 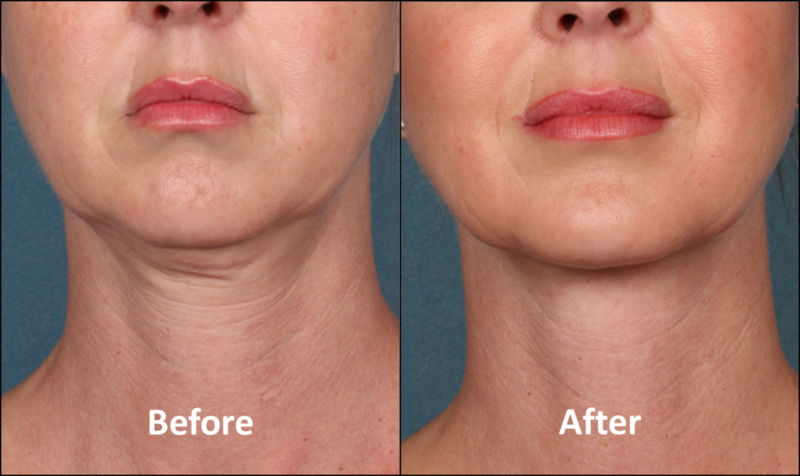 One of the newest, most asked about procedures I do, is an injectable that dissolves fat – known as Kybella. 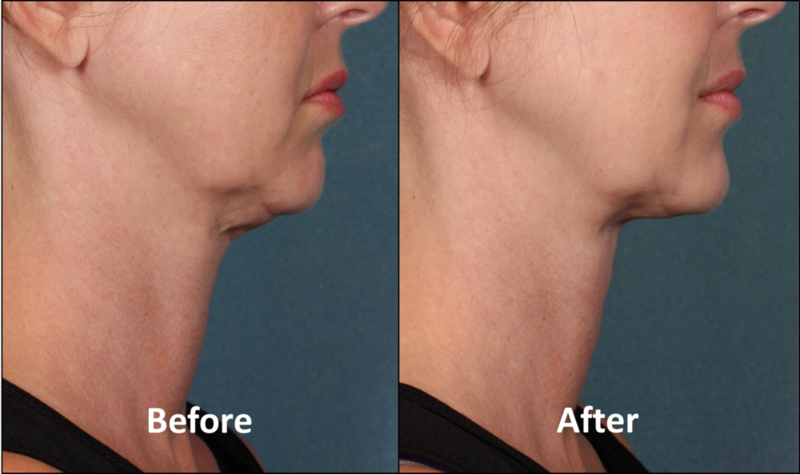 Kybella is the first FDA approved product of its kind and is having great results in correctly selected patients. We are excited about this easily administered and effective product. Kybella is a product known as deoxycholic acid. This product is not new and not recently discovered. The use of this product is, however, being applied in new and exciting ways. Kybella is an injectable that dissolves submental (chin) fat and allows excretion by the body’s natural excretion mechanisms. The injections are performed in office and typical injection time is less than 10 minutes. Similar derivatives such as ursodeoxycholic acid are used in patients with gall stones to help prevent absorption of cholesterols. 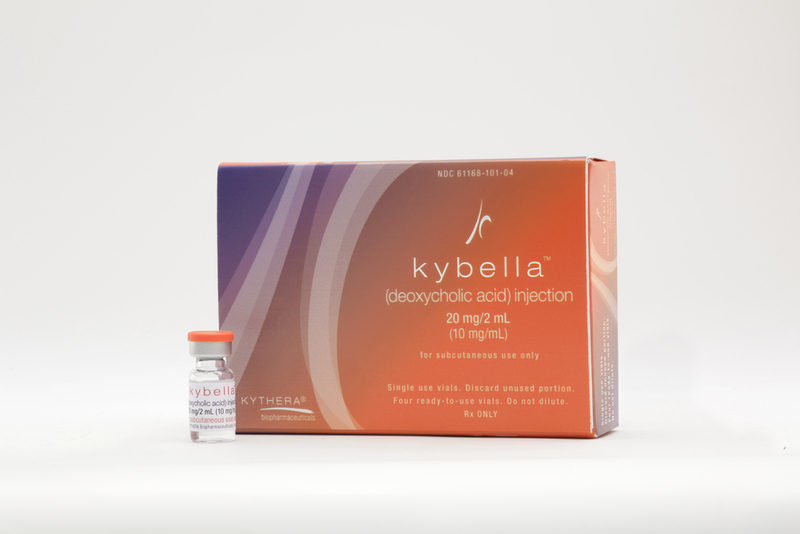 Kybella is manufactured and marketed by Allergan, the trusted brand behind Botox and Juvederm. WHAT HAPPENS TO THE FAT AND CAN IT RECUR? After dissolving the fat, the fat is absorbed and processed by the body in a normal fashion. The fat cells that have been destroyed do not return. If there is weight gain in the future, it is possible that the fat cells that are still alive may enlarge. The injection takes less than 10 minutes. Following the injection, there is swelling that resolves gradually over the course of a week. The immediate swelling is due to the Kybella that is present, followed by the gradual absorption of fat and healing of the neck tissues. Typically, 2-3 sessions of Kybella are needed and injections are spaced 6-8 weeks apart. This procedure is great for patients, both men and women, with excess submental fat, but without too much excess skin. The best way to know is come in for a free evaluation! Call 817-529-3232 for more information or to schedule a consultation. Facial plastic and reconstructive surgeon including rhinoplasty, blepharoplasty, facelift, eyelid lift and facial resurfacing in Fort Worth, Southlake, and Keller, Texas.